In this verse, the believer (mu’minuun) is commanded to ask Allah to bless the Prophet. The command was not to the muslimuun. Thus, it is part of iman/faith to seek blessing for the Prophet upon whom be peace as the mu’min is the possessor of iman. It is related that a person’s iman/faith is not perfected until The Prophet and Allah is more beloved to him than anything else including himself. Indeed the sign of love is the frequent remembrance of the beloved and sending blessings to him(the Prophet pbuh). Ibn Mas’ud reported that the Messenger of Allah said, “The dearest of the people to me on the Resurrection Day will be the foremeost of them in sending blessings to me.” Abu Sa’labh reported that the Messenger of Allah said, “The dearest to me among you and the nearest to me among you on the Resurrection Day will be one who is best of you in character (akhlak).” Thus we can see here that good character is related to how often a person send blessings to the Messenger of Allah. The more someone remembers (and blesses) him in his/her daily activities, the person’s character will be gentler, loving and closer to the character traits of the Prophet. The more a person follows in the footsteps of the Prophet, the closer he gets to Allah and the more Allah loves him/her. Abu Hurayra reported that the Messenger of Allah said, “Whoso sends blessing on me, Allah sends on him ten blessings, and ten sins are put off from him and ten ranks are raised up for him.” It is related that one blessing from Allah on a person outweighs on the scale, all the Devotional acts (excluding solawat on the Prophet) of the whole population of man and jinns. It is interesting to note that ‘good character will be the heaviest thing which will be placed on the balance/scale of a believer on the Resurrection Day’ in a hadith related by Abu Darda’a. Again the connection between good character and sending blessings and greetings to the Prophet pbuh. ‘Ayesha reported that the Messenger of Allah said, “The believer reaches by his good character, the position/rank of one who stands up (praying in) the night and fasts (in) the day.” And good character comes when someone follows the Prophet pbuh in every movement and stillness, and one will put in the commitment to follow the Prophet pbuh when there is love for him and the desire to get closer to Allah. It is related that a certain pious man saw in a dream the Messenger of Allah in the company of the Saints of Allah whom took his hand and kissed his blessed hand while he sat. Later a man came and the Messenger of Allah stood up for him, kissed him on his forehead and made him sit by his side. The dreamer asked the Messenger of Allah about the man’s deed which gain him such an honour and the Messenger said that the man always encouraged people with all his effort to send abundant blessings to the Prophet pbuh. 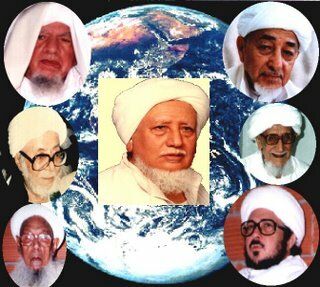 It is also said that if one were to ask the Saints of Allah, those of the past and present, how did they reached (closeness to Allah/sainthood), they will say, “We reached by intense love of the Messenger of Allah!” This is as man is too weak to approach Allah without a intermediary(perantaraan), Allah created for man from their species an intermediary as a mercy/blessing for them! It is indeed heavy for the lower self, to bless another person as it is in its nature to be self-centred. Thus, in the beginning, the lower-self must get to know the Messenger of Allah pbuh, his sacrifices, his character, his rank with Allah, proofs of his Prophethood etc. The lower self then by the Grace of Allah gains the light of faith and becomes purified by stages. ‘You shall truly travel from stage to stage’ al-Inshiqaq :19. As we have clarified earlier the degree of love for the Prophet pbuh increases with the increase in faith/iman until when the lower self has been completely purified from self-centredness/interest (its love for itself). Now the lower self has been transformed to the serene self (nafs al-mutmainnah) and loves the Messenger of Allah more than itself (may we be among them! ), it experiences states whereby it is annhilated in the Messenger pbuh until it is established for him as a station. The acts, stillness, states of the person is the sunna, the Qur’an. 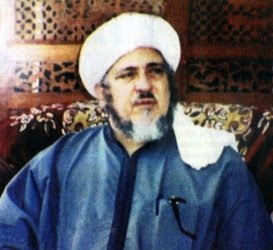 This was alluded to by Shaykh ibn ‘Arabi when he said that ‘Shaykh Suhrawardi was dressed in the sunna from head to toe”. Such a person is an inheritor of the light of Prophethood. Its light shines from his outward and inward, when he/she is seen Allah is remembered. May Allah admit us among them! amin. 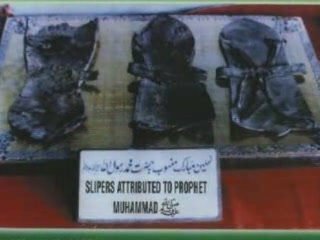 Author thehiddentreasurePosted on March 14, 2010 March 14, 2010 Categories The Prophet pbuhTags Prophet MuhammadLeave a comment on Sollu ‘alan Nabi! Mus’ab ibn ‘Abdullah said, “When the Prophet was mentioned, Malik would grow pale so that it distressed those with him. One day he was asked about this. He said, “If you had seen what I have seen, you would not be suprised at what you see me do. I used to see Muhammad ibn Munkadir, the master of the Qur’an reciters. Almost every time he was asked about a hadith, he wept until his eyes were red. I saw Ja’far ibn Muhammad who joked and laughed a lot, but when the Prophet was mentioned in his presence, he grew pale. I never saw him relate a hadith of the Messenger of Allah except in a state of ritual purity. 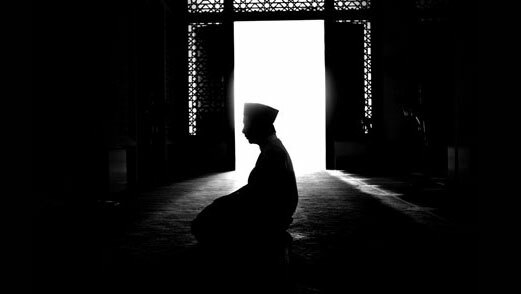 I frequented him for a time and only saw him doing one of three things – praying, fasting, or reciting Qur’an. He only spoke about what concerned him. He was one of the men of knowledge and those who fear Allah. ‘Amir ibn ‘Abdullah would weep when the Prophet was mentioned until he had no more tears to weep while Safwan ibn Sulayman would weep until people got up and left him. 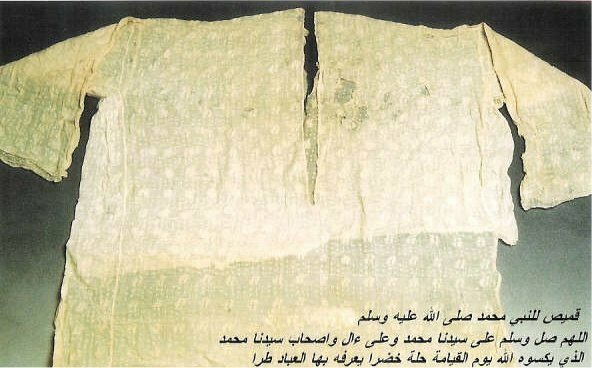 It is related that Safiyya bint Najda said, “Abu Madhura had a lock of hair at the front of his head which touched the groun when he sat down. He was asked, ‘Why don’t you cut it off?’ He said, ‘I will not cut off something that the Messenger of Allah, may Allah bless him and grant him peace, touched with his hand. 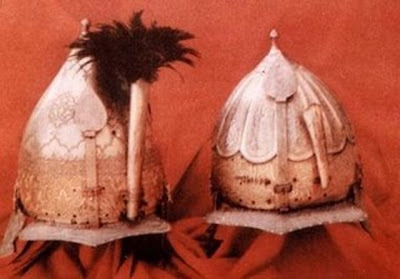 '” Ibn ‘Umar was seen to place his hand on the seat of the Prophet in the minbar and then place it on his face. May our respect and esteem for The Messenger of Allah peace be upon him increase with every blessing and prayer we sent to him. May all our actions be based upon his way, may he be pleased with our actions, pleased with our states as pleasing him is pleasing Allah. May our hearts be purified so that his presence can be felt upon every salam we sent to him. May our hearts be purified further such that the veil is lifted everytime we send salams to him and his blessed presence is seen with the eye of the heart. May our hearts be purified further such that none of our nafs remain and only the light of the Prophet shine from within and without. Amin Amin Amin Ya Rabbal ‘alamiin!!! This is enough encouragement, advice, proof and indication of the necessity of loving him and is sufficient to show that this duty is an immediate important obligation which is the Prophet’s right. Thus if one loves the Prophet and obeys him and Allah’s commands and prohibitions will be with the Prophet in heaven. Another of the signs of love for the Prophet is to mention him often. Another is great yearning to meet him. Every lover yearns for their beloved. Love for those who love him and the people of his house and his Companions, both the Muhajirun and the Ansars, for his sake. Such a person will be hostile to those who hate them and curse them. The excerpts from the earlier posts and this post on the Messenger of Allah are taken from the book Ash-Shifa of Qadi ‘Iyad translated by ‘Aisha Abdarrahman Bewley. The Messenger of Allah pbuh forgave the Jewess who had poisoned him with the mutton after she had confessed to the poisoning. He did not punish Labid bin al-‘Azam when he used black magic against him although the Messenger pbuh was informed about it. He never hit a servant or a woman. He was slow at getting angry and when he got angry he was quick to cool down. He was the most courageous of men. When the Muslims were retreating during a battle, he began to gallop his mule towards the unbelievers. He was the closest to the enemy. He was so brave that any man who fought near him in a battle was brave. The one who truly fears Allah alone fears nothing while everything fear and is in awe of him. In his social interaction, the Prophet always made people feel that no one had been shown more honour than he i.e. the person he interacted with. Ibn Abi Hala described him, “He was always joyful with an easy disposition. He was gentle, neither gruff nor rude.” He never complained about food, he simply left it if he did not want it. He would fulfill an invitation even from a slave and he would accept a gift as low as a sheep’s trotter. Anas said, “I served the Messenger of Allah pbuh for ten years and he never said ‘Uff”! to me. He did not say about anything I had done, ‘Why did you do it?’ or about anything I had not done, ‘Why didn’t you do it?’ ” He would visit the sick in the furthest part of the city and he accepted the excuse of anyone who offered an excuse. Anas said, “When anyone spoke in the ear of the Messenger of Allah, he would not move his head away until the man first moved his. When anyone took his hand, he would not let go his hand until the one who had taken it let go. He was not seen to put his knees in front of anyone who was sitting beside him. His laugh was only a smile and he smiled the most. When he turned to face someone he turned his whole being/body to face that person. When he walked it was as if he was going down a slope. Ibn ‘Abbas said that the spirit of the Prophet was a light in the hands of Allah two thousand years before He created Adam. That light glorified Allah and the angels glorified by his glorification. When Allah created Adam, He cast that light into his loins.